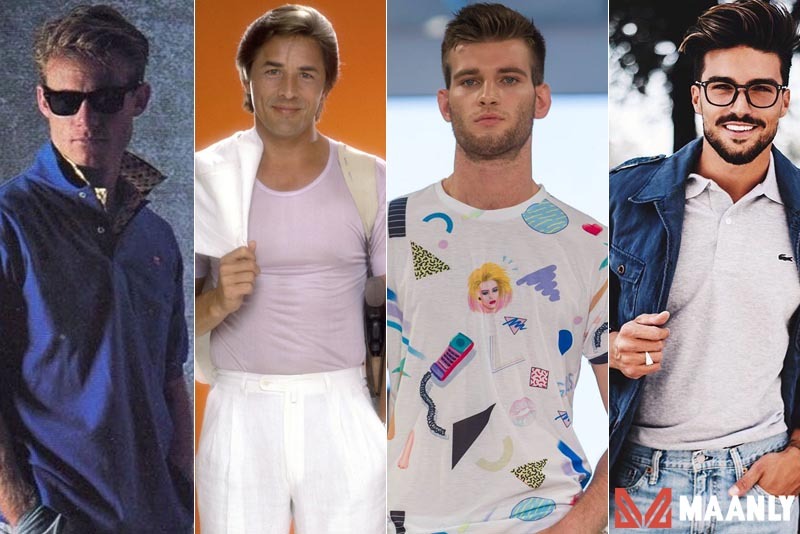 Full of bold designs and colorful fashion statements, the 80s fashion for men were with no doubt an interesting period in fashion history. This was the decade during which guys released themselves, embraced new trends and were eager to display their vibrant individual styles. 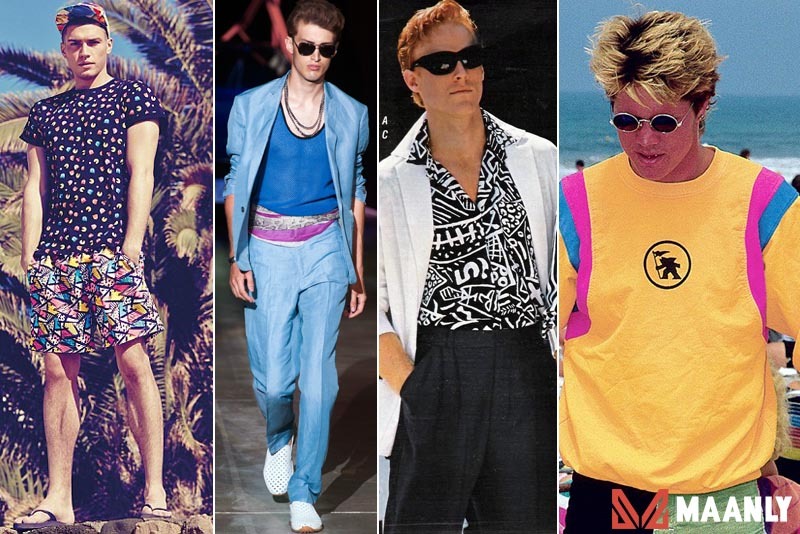 Sadly, the bold looks of the 80s disappeared as with any fashion trend thus giving way to the less adventurous fashion styles of the 1990s and 2000s. However, the 80s fashion trends are emerging again as we observe the windbreakers and dad jeans, chunky sneakers and bum bags trending across fashion capitals around the world. 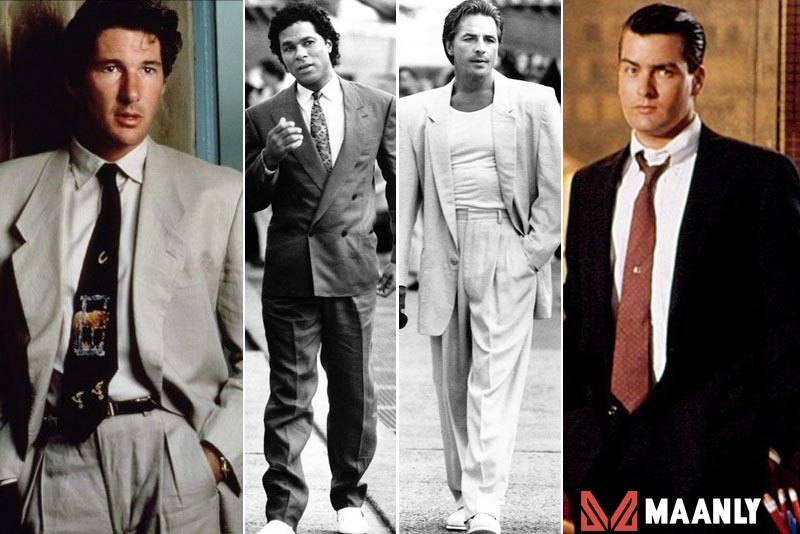 We’ve put together this guide to assist men rock the 80s fashion trend in the modern times. Fashion trends during this exciting decade involved excesses with bold designs and captivating colors. The decade also saw an acceleration of fashion styles such as rock, punk and work out wears. Preppy fashion was also hard to ignore in the decade and was associated with classic and conservative style of dressing. Preppy outfits were of bright shades of color e.g. pink and yellow. 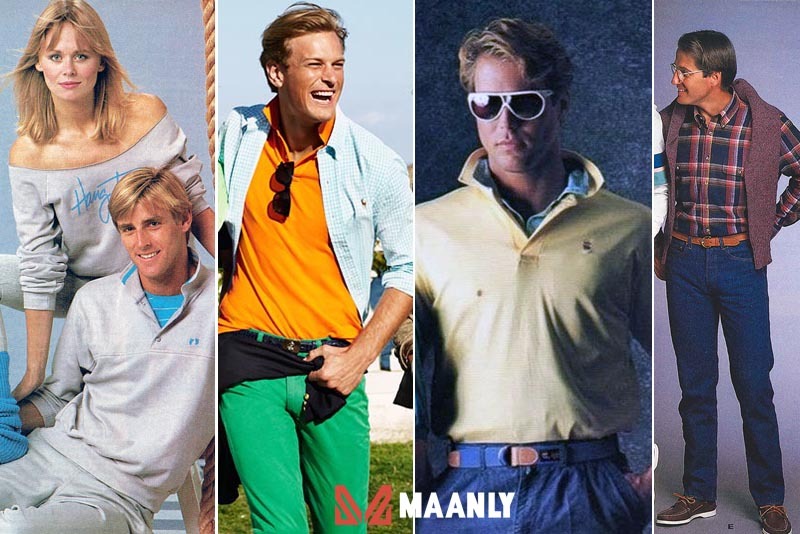 Sweaters, slacks, and tennis shirts were among the preppy clothes featured in the decade thus making them top 80s fashion for men. 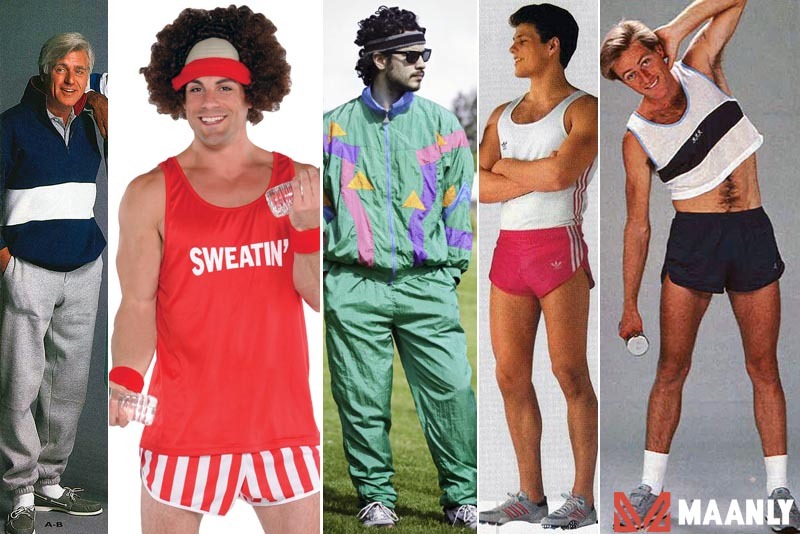 During the 1980s, workout clothes were en vogue for both men and women. This led to guys adopting some workout fashion styles as the everyday look. As a result, sportswear styles such as tracksuits, sneakers, athletic shorts and windbreakers were common fashion trends. Guys took up wearing dad jeans to often match with denim jackets. Other items include T-shirts and loose shirts the bomber jackets, windbreakers and others were also won as outerwear. Sneakers were appropriate for the casual looks. Hip hop culture gained heavy momentum in the 80s and so did its fashion styles, trends and kits. 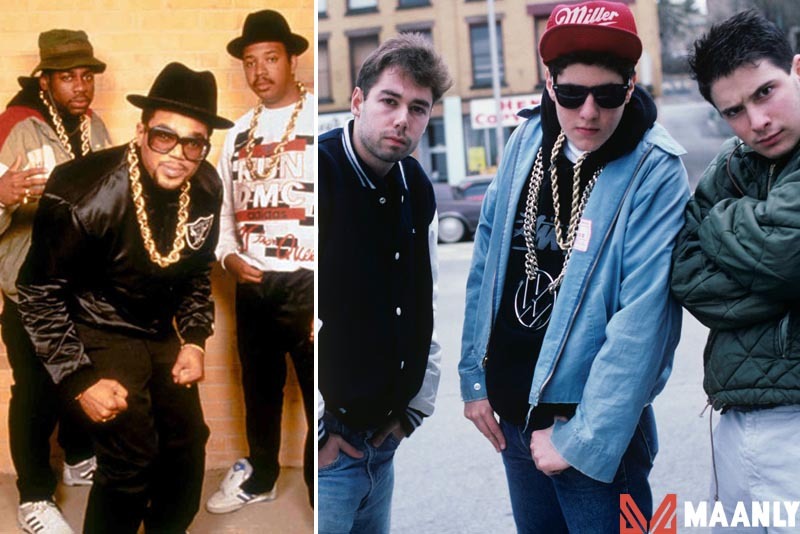 In addition, hip hop super stars like Run-DMC gave credence to the new hip hop fashion culture along with Beastie Boys, LL Cool J, N.W.A and many others. These rappers and music stars of the 1980s decade influenced the popular hip-hop fashion trends as well as 80s fashion for men. Their over sized and baggy outfits were common with sporty fashion accessories which included sneakers, sports caps and gold chains. 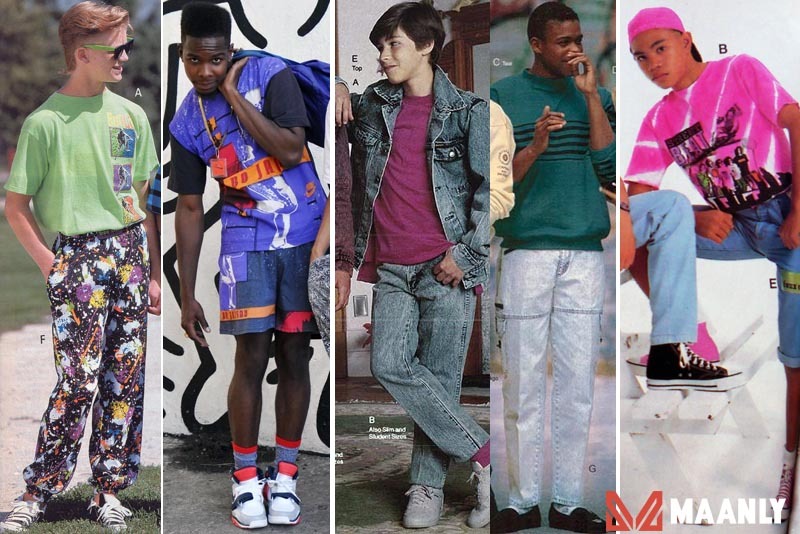 Fashion for teenage boys and children in the decade was similar to that of men. The denim with sneakers look as well as the neon styles that were popular among the men were also won by the teenagers. 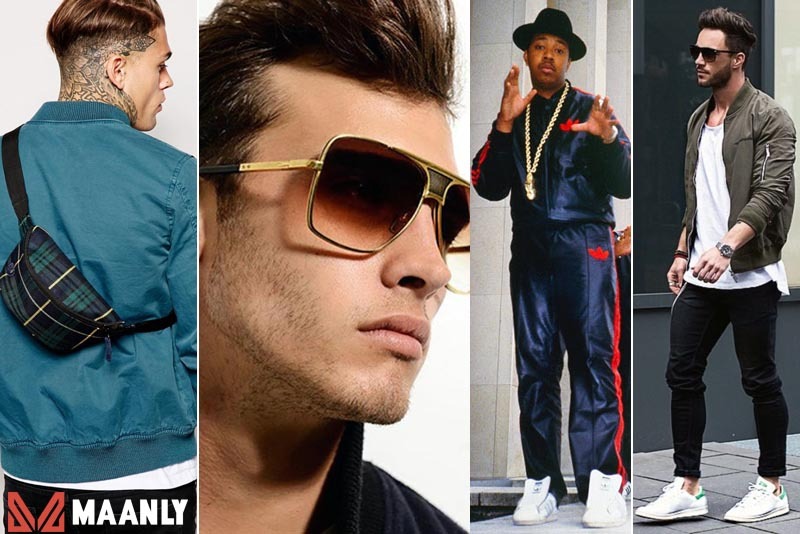 Go ahead, play the part and jazz up your current style with 80’s fashion accessories such as reflective sunglasses, gold chains, bum bags, chunky white sneakers where were all indispensable part of 80s fashion for men. Punk fashion for men in the 80s was undoubtedly on edge unlike the glamorous rock style for same decade. 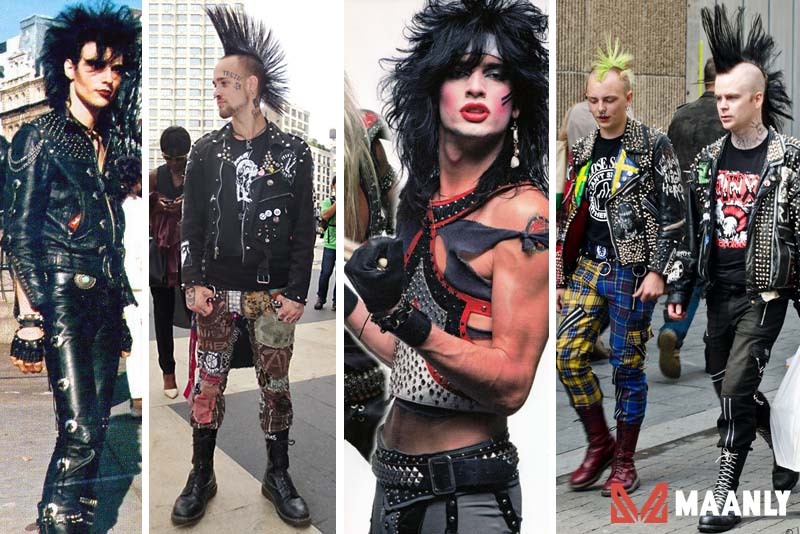 The 80s punk fashion featured plenty of leather, eye popping hairstyles like the colored mohawks and spikes, as well as lot of accessories. Most of the 1980s jackets are still en vogue for men at the moment. The jackets’ trends from the 80s include the denim jackets, bomber jackets, and leather jackets. 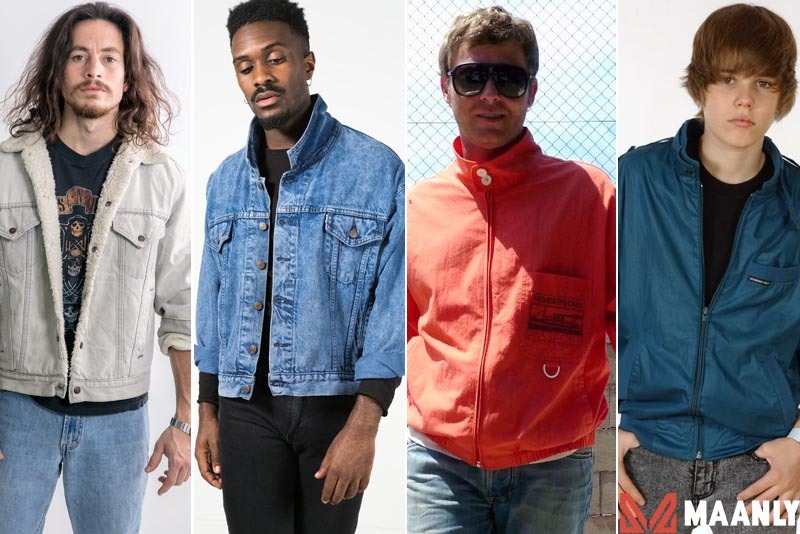 On the other hand, if you’re looking for a bolder, more adventurous look inspired by the 80s fashion for men, then a classic sports windbreaker is a sure bet. The 80s presented us with its share of notable fashion icons mainly actors and musicians. Notable among them were the King of Pop Michael Jackson, Don Johnson of Miami Vice fame, the pop sensation Prince, David Bowie, Rob Lowe, Michale J. Fox and many others. 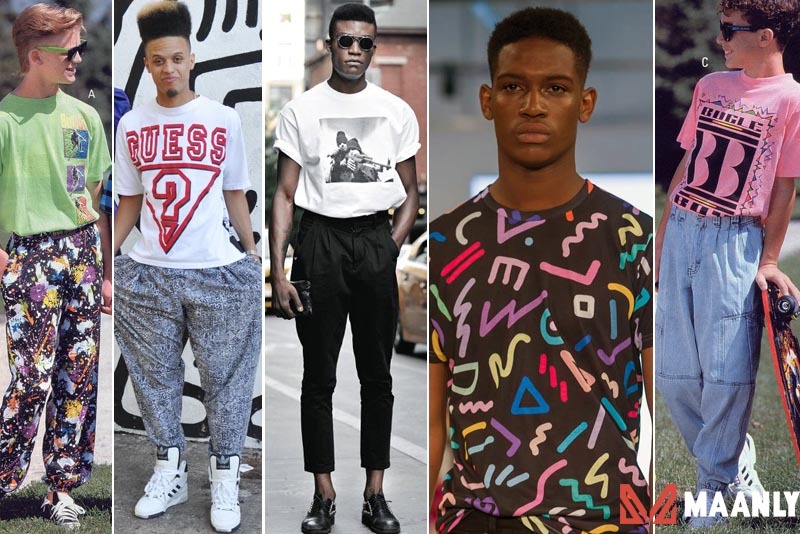 Highlighting vibrant colors and complex prints, the 80s summer fashion did not lack short shorts, short and sleeveless shirts, and standard fitted crop tops. 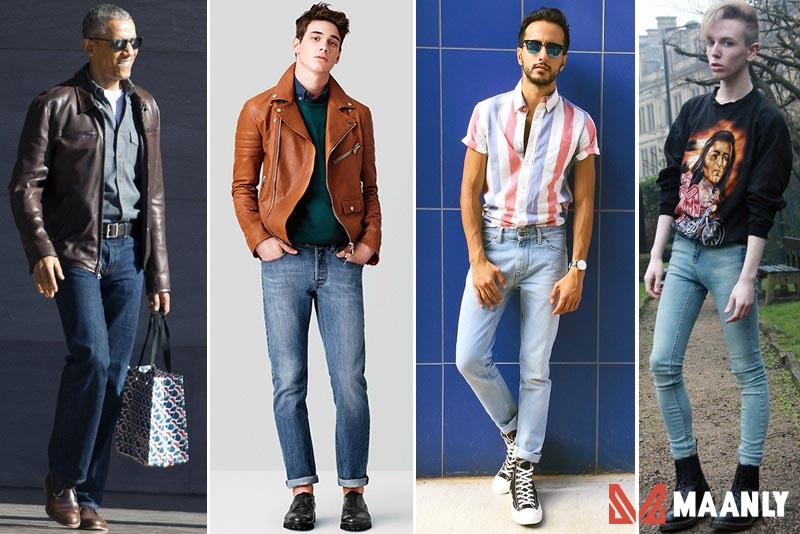 The 80s jeans’ trend saw the mass adoption of dad jeans, acid wash jeans and other high waisted jeans. Presently, dad jeans which were common in the 80s are now back en vogue. 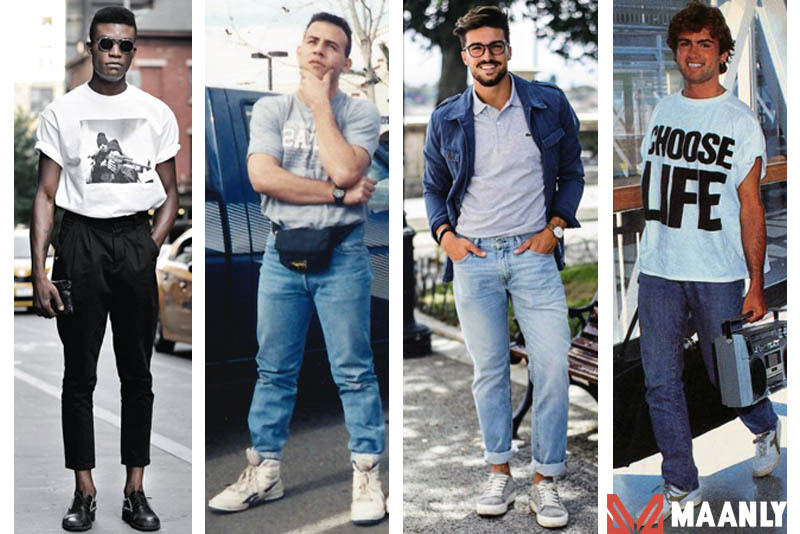 If you’re looking to rock the 80s jeans’ style, all you need for a great look is a faded sky blue with a relaxed fit cut or tapered around the ankle. Alternatively, you can go with a straight cut and pinroll the bottom for some added style. 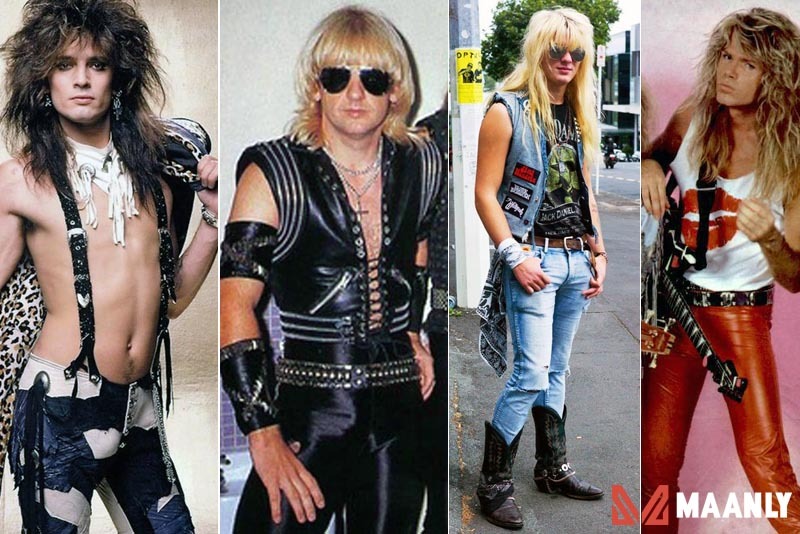 Rock fashion during the 80s was chaotic and in excess with big hair styles, grotesque clothing and lots of makeup. Leather was the key ingredient of this fashion ensemble and was often used to get that authentic rock look. Likewise jewelry, wristbands and headbands also became common and brought about a hint of glamour to the overall rock fashion. There’s no doubt that loose shirts with colorful, complex prints and other favorites such as the Polo shirts ruled the 80s. The decade favored everything in their excesses. Lengthy locks and styles with big volumes like the mullet were very common. 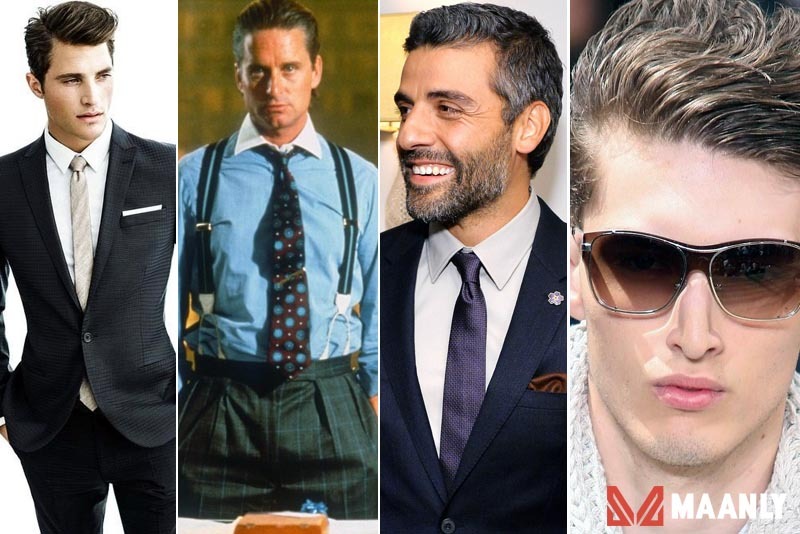 Men in the corporate world often didn’t keep these trends and instead favored pulled back hairstyles. In this decade, over sized broad-shouldered suits were worn. Pinstripe suits were often worn as official outfit in combination with a tie, suspenders, and a shirt; and were a favorite among the men. Unofficial pastel colored suits were common and worn in combination with collared t-shirts. T-shirts in this decade were worn in combination with anything. The main styles were the collared T-shirts often with logos and slogans printed on them. Other common designs were baseball t-shirts and crop tops. Invest in the main pieces e.g. the denim jackets, acid wash jeans, colorful t-shirts, etc.